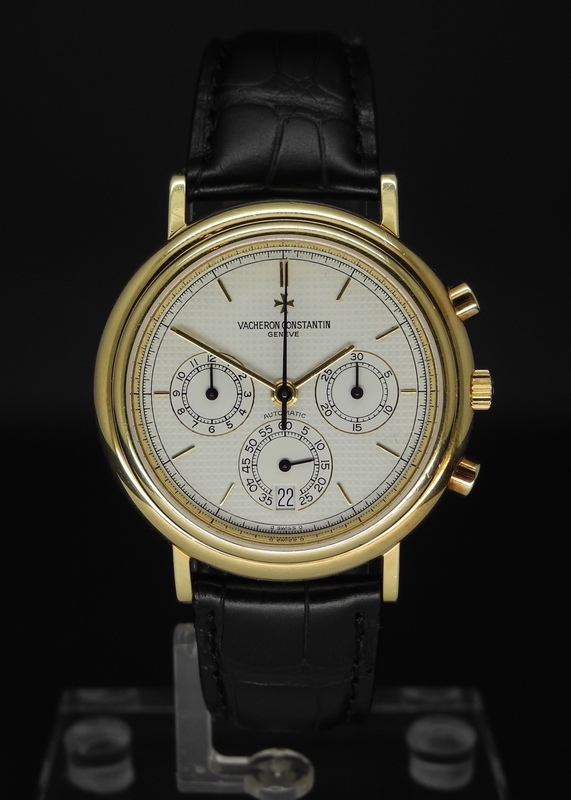 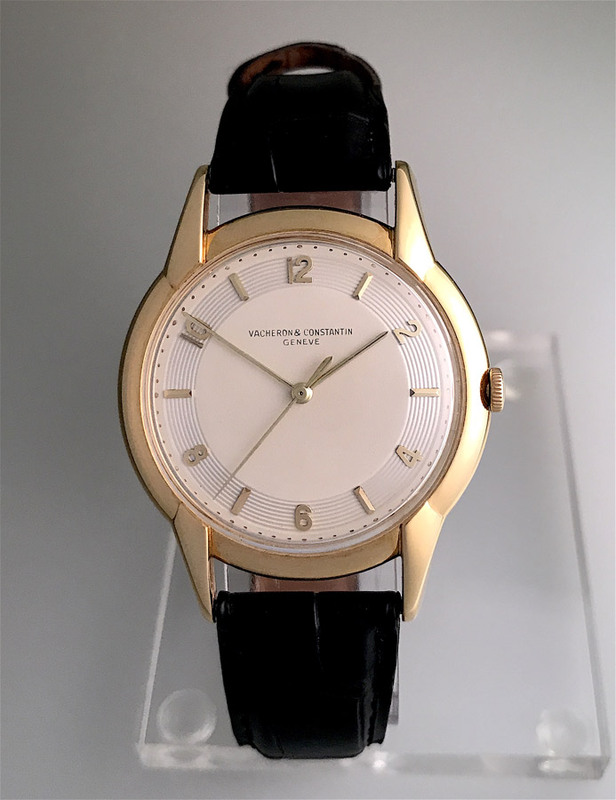 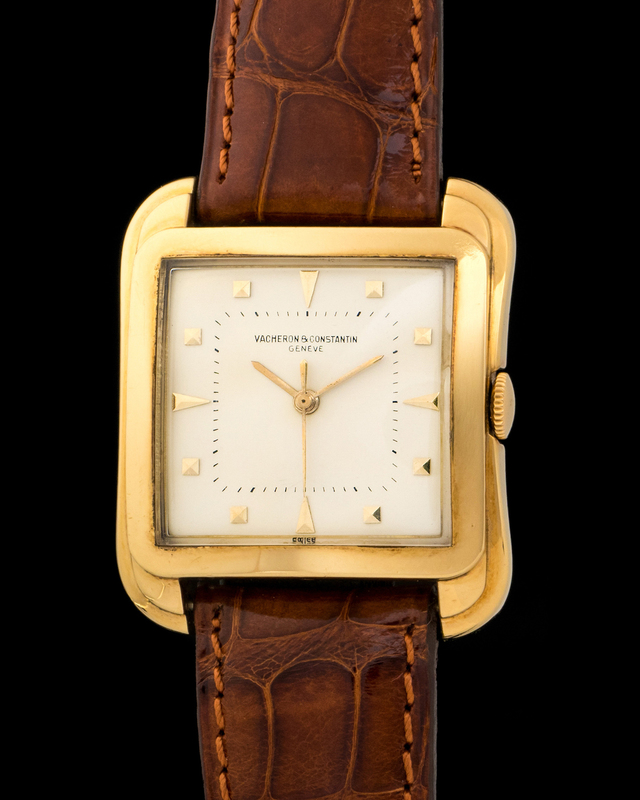 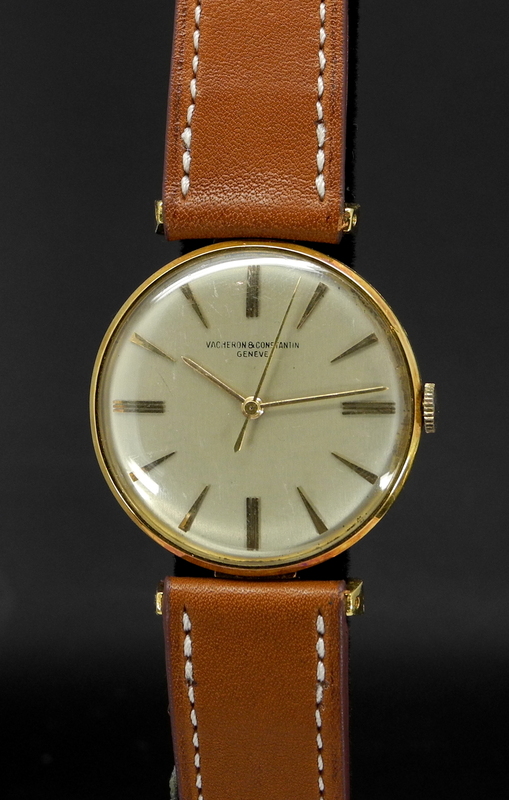 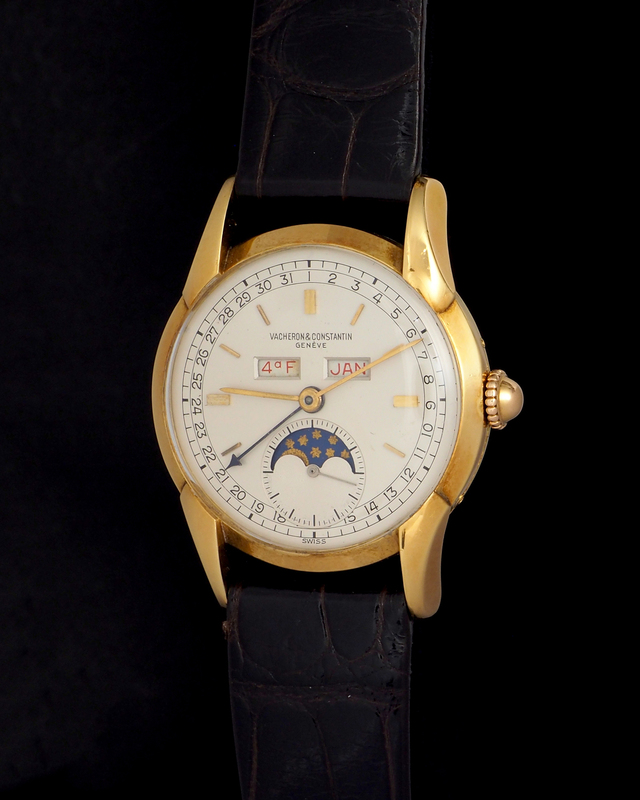 Very rare Vacheron & Constantin Calendar cased in 18K yellow gold and powered by a manual caliber. 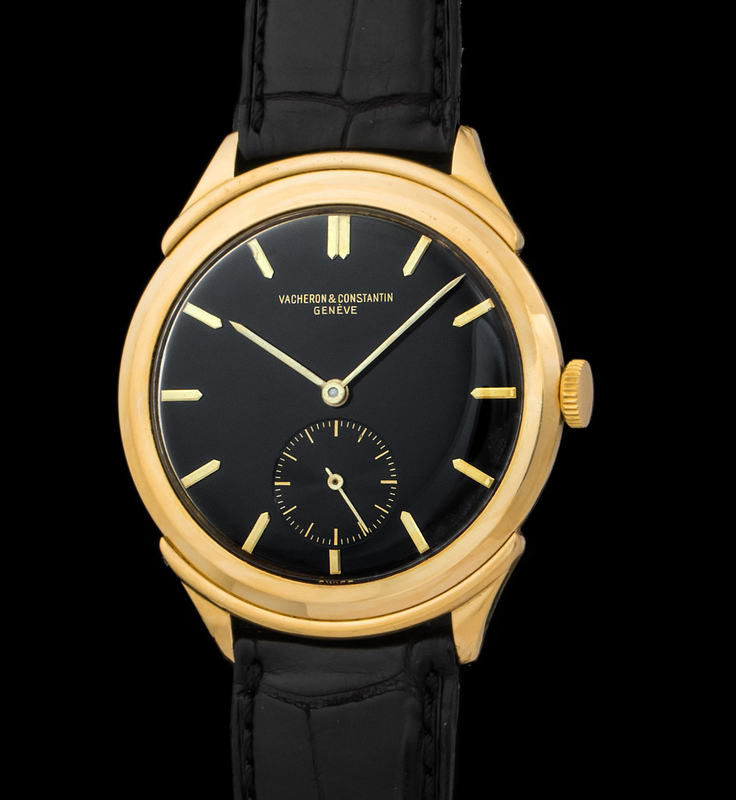 The striking detail of this watch aside from its complication is its particular 34mm case design. 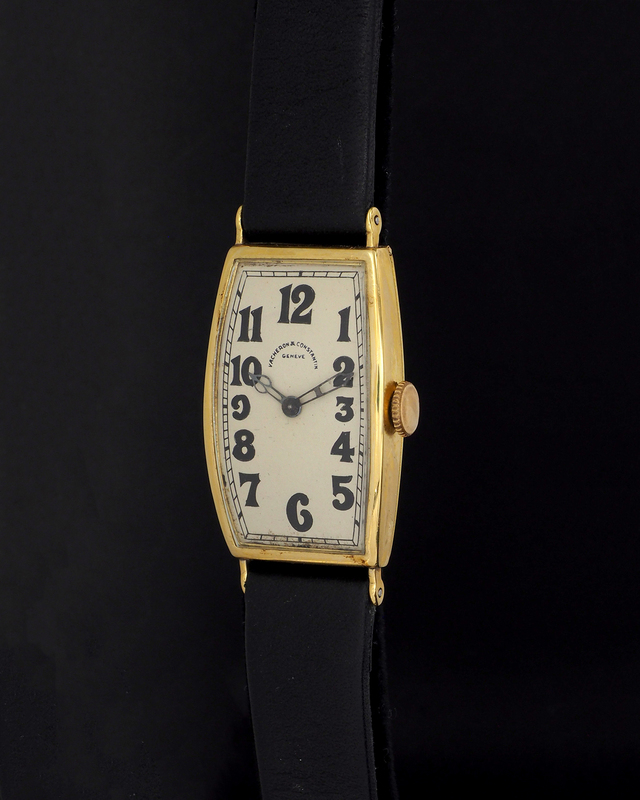 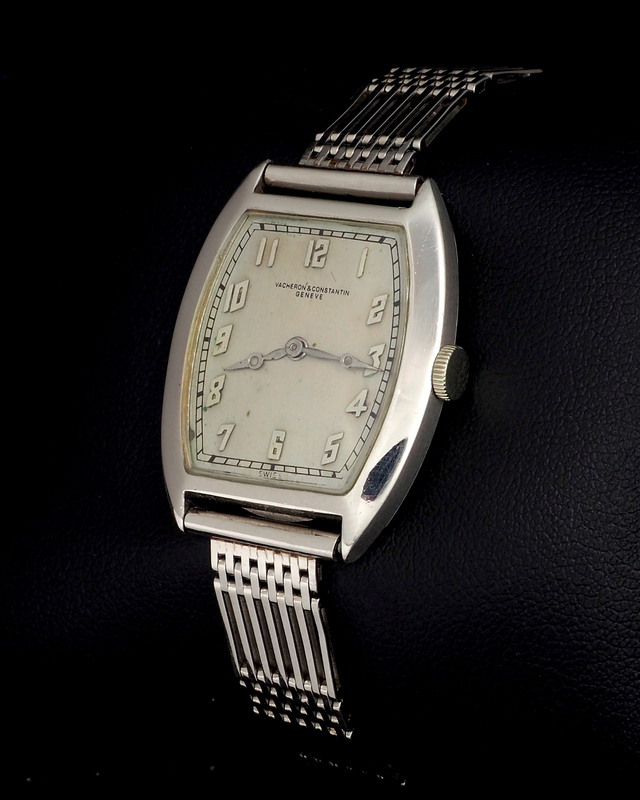 Ultra rare and noteworthy platinum tonneau cased Vacheron & Constantin from the 1920's. 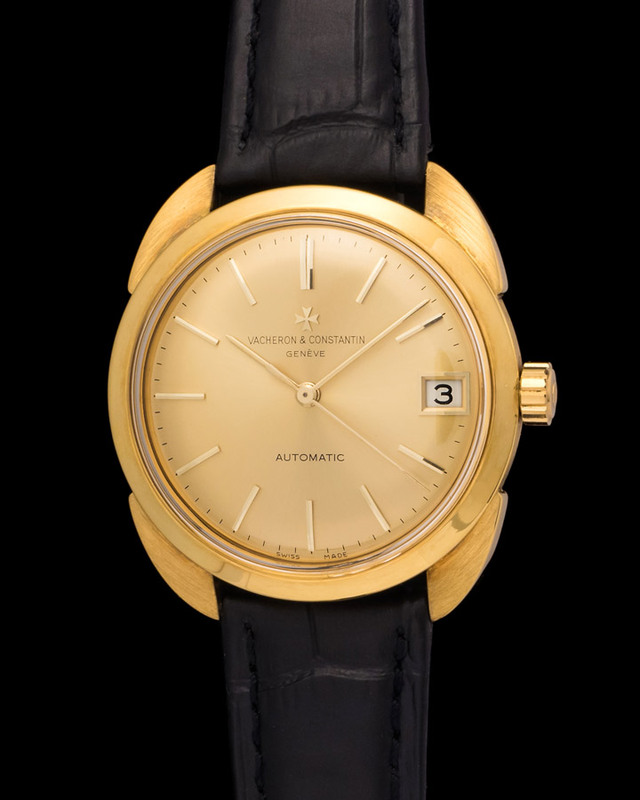 Powered by a manual caliber and put together by a platinum bracelet. 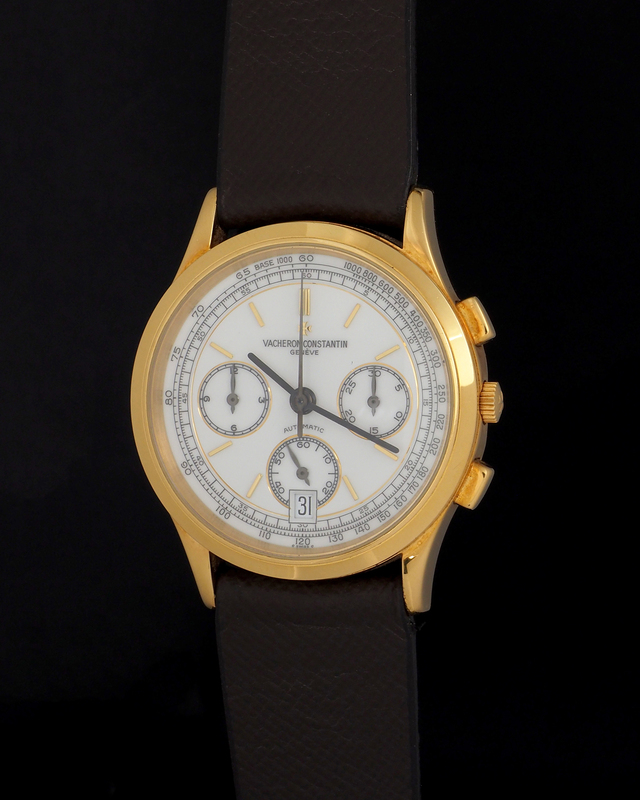 Rare does not begin to describe this beautiful Vacheron chronograph cased in pink gold and fitted with an outstanding cream dial. 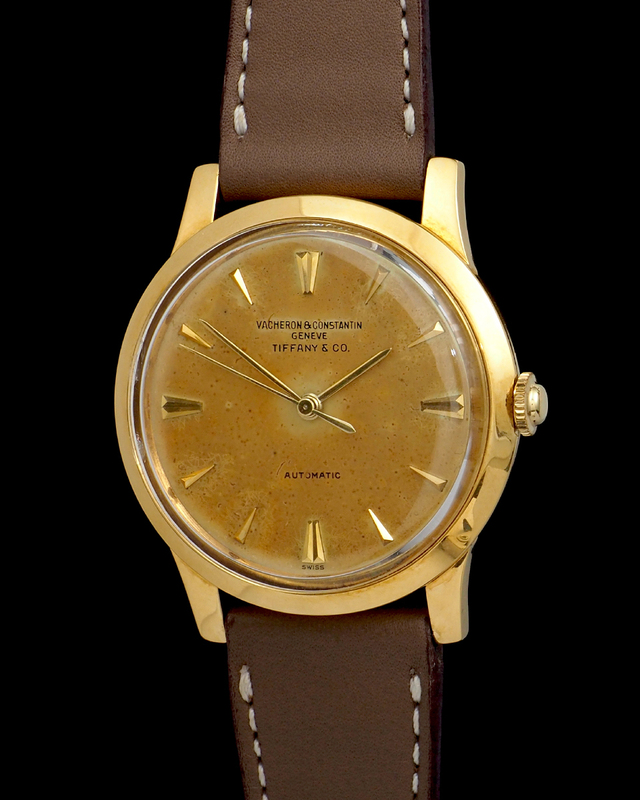 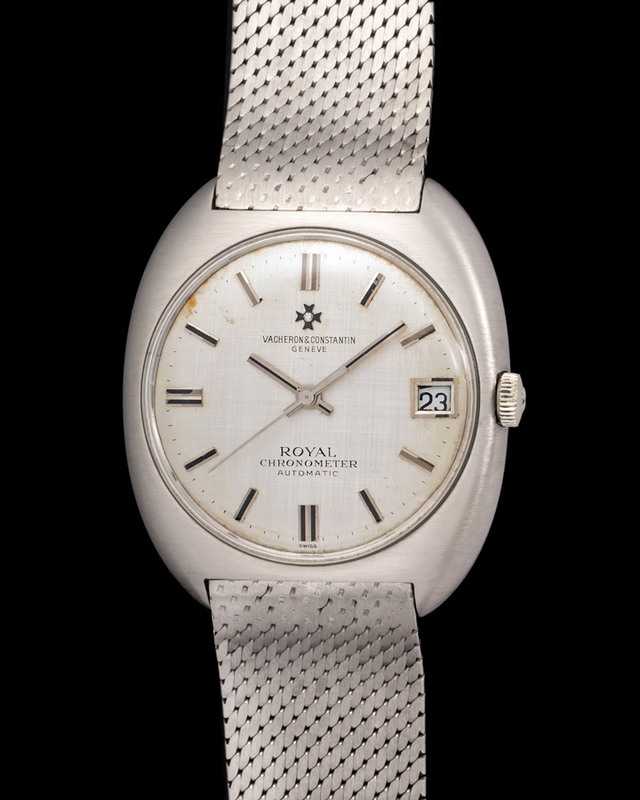 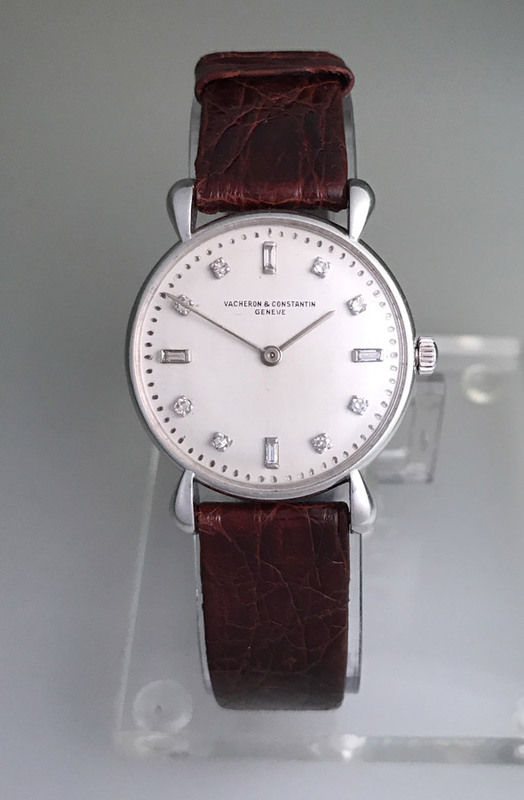 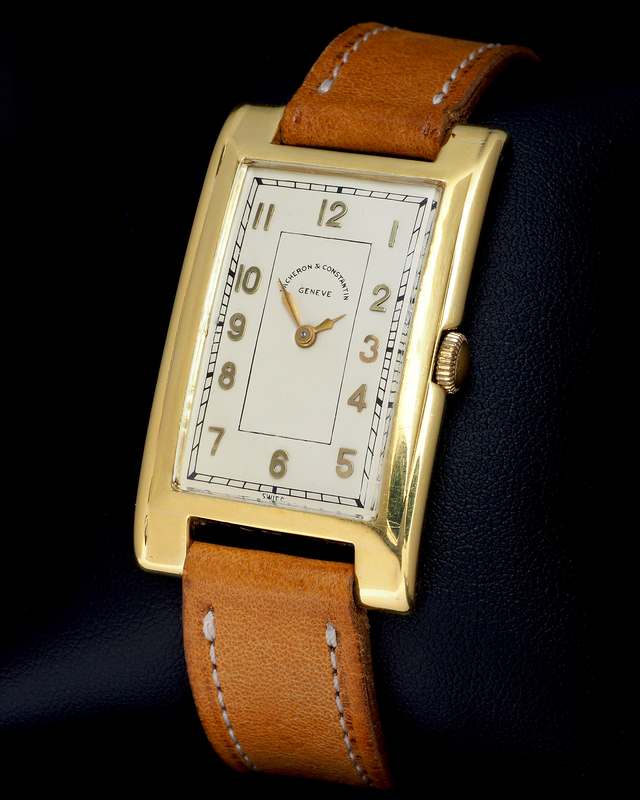 This watch is in top condition and is powered by a manual caliber. 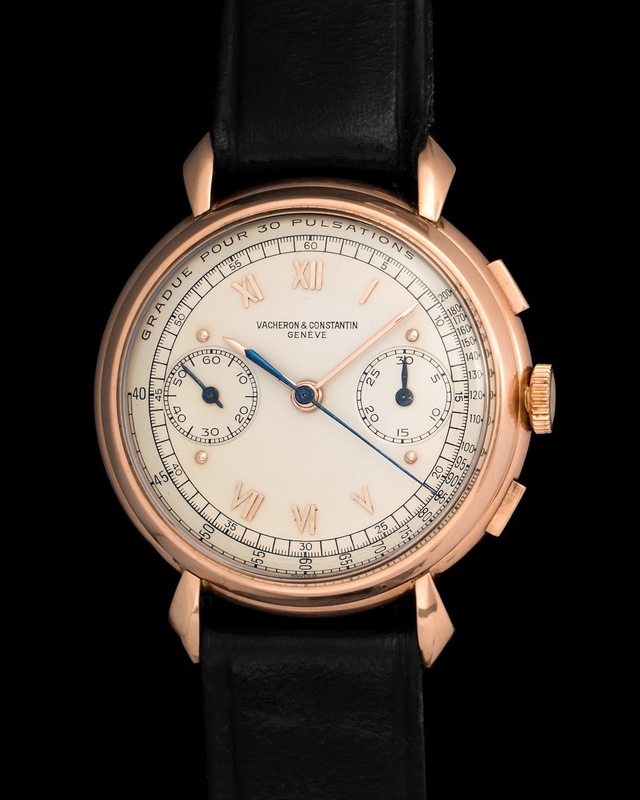 A striking feature is its blue chronograph hand. 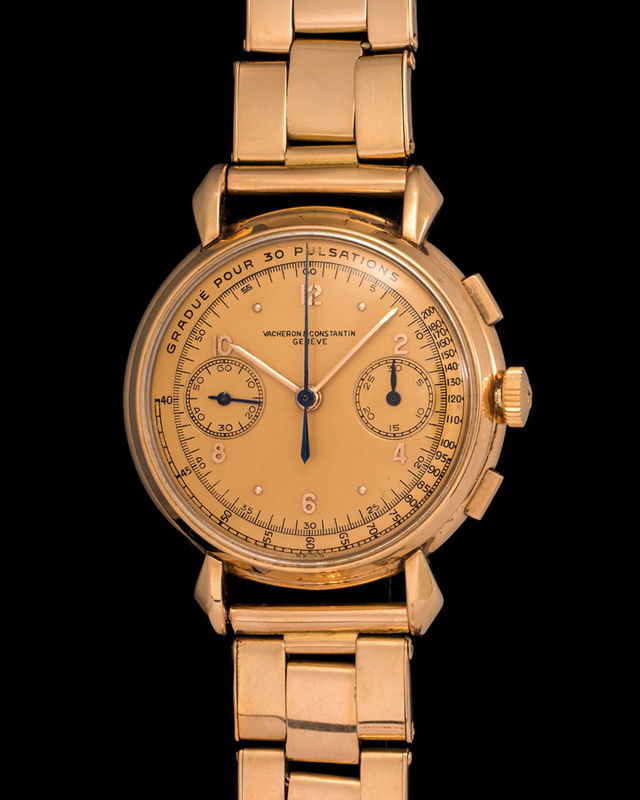 The idea that Vacheron Constantin was designing and manufacturing large gold chronographs during the 1940's comes to show their forward thinking thought process and commitment to the future. 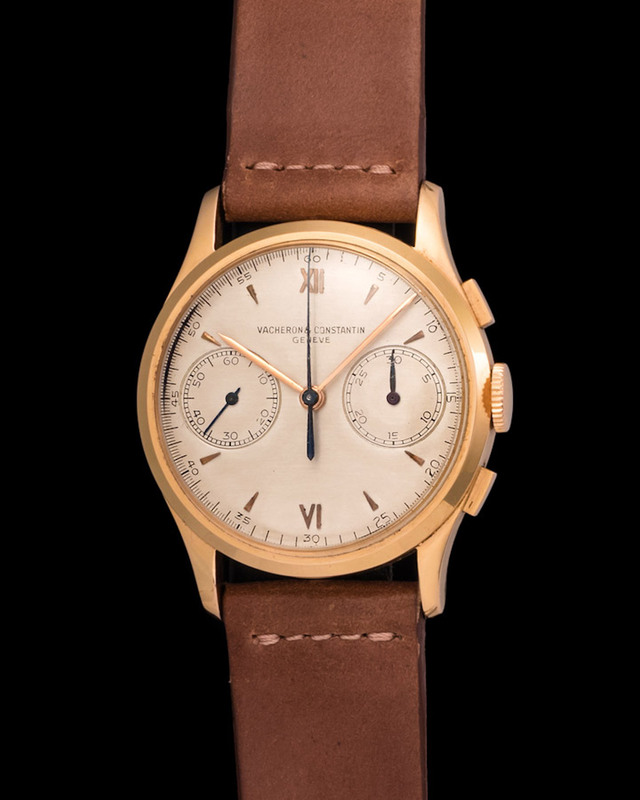 This chronograph encompasses a mix of elegance, utility, and a balance not commonly found on watches from those early years.